WildNature Photo Expedition’s “Brisbane City Lights” photography workshop is designed to show participants the best way to photograph beautiful Brisbane city at dusk and after sunset. The workshop commences at the southern end of the Kurilpa Bridge (near the GOMA building) where Michael will show you how to best photograph the city buildings across the river, as the sun starts setting. The ‘mood’ and ‘feel’ of your photos will change as the sun sets and the colourful lights appear. 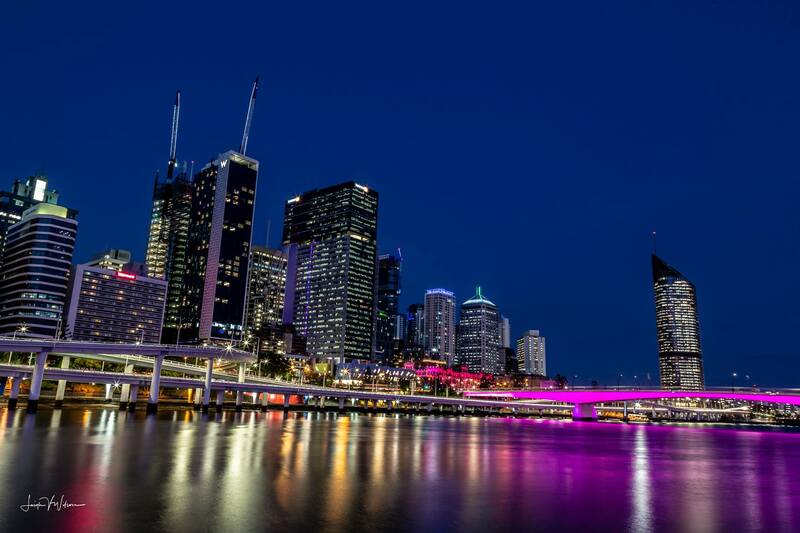 As darkness descends, the Kurilpa Bridge will start to light up with a multitude of coloured lights. The amazing shape and architecture of this bridge, as well as the gorgeous lighting, makes this a wonderful subject for photography. There are so many different angles to photograph the Kurilpa Bridge and you will be shown how to take advantage of the various ways to compose your shots. There is a great opportunity to photograph the William Jolly Bridge, with its wonderful ‘snake’ shape that is also lit up at night. 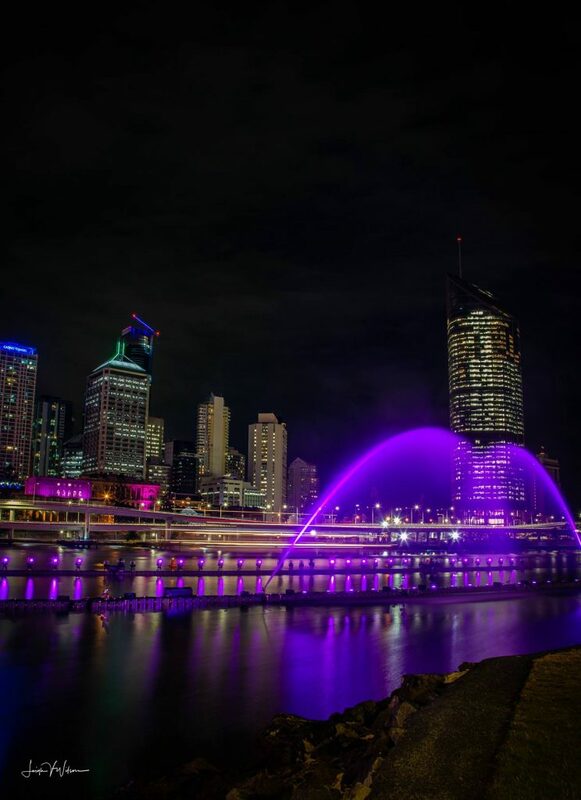 We then set ourselves up so that we can photograph the Conrad Treasury building across the Brisbane River, lit up a brilliant purple colour, as well as other photogenic buildings around it. Our last stop is at the Giant Wheel, which is brightly lit and continually spins around. Michael will show you to best settings and composition to get great shots. Apart from learning how to take great shots of the city before and after sunset, and be shown the best vantage points to take these shots, you will also be with like-minded people who are there to enjoy and share the experience. To book your place, please use the contact form and Michael will send you payment details. Please note: This workshop is limited to 8 participants. This will ensure that you receive comprehensive personal tuition from Michael.